Pardon The Punctuation...Located in a hip section of downtown Louisville sits a this farm to table gem. Not only does Decca support local farmers...it supports your taste buds too. Chef Annie Pettry has brought an innovative menu to this renovated 1870's building. 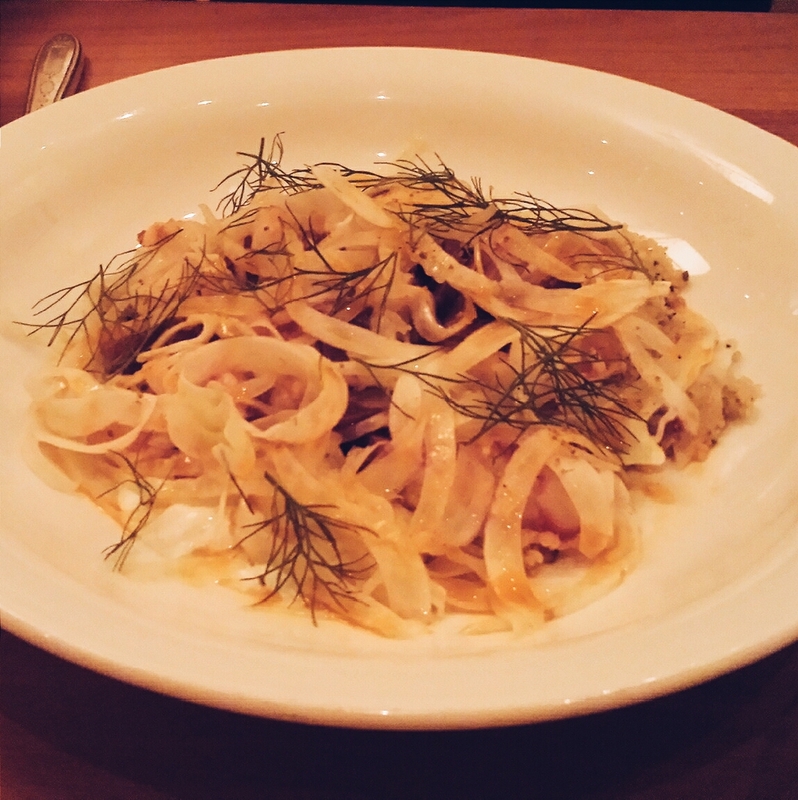 Her unique take on American cuisine puts Decca a cut above the rest. It was my last meal in Louisville and here's what I had. 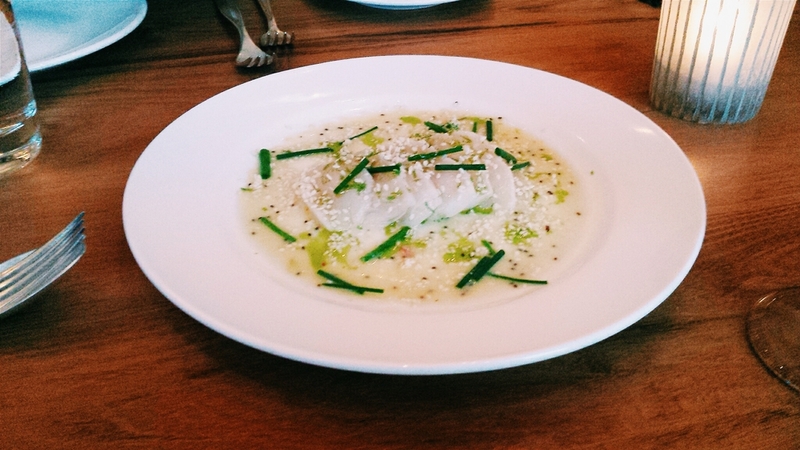 Diver Scallop Crudo: with Chive, Sesame, Kiwi Vinaigrette. 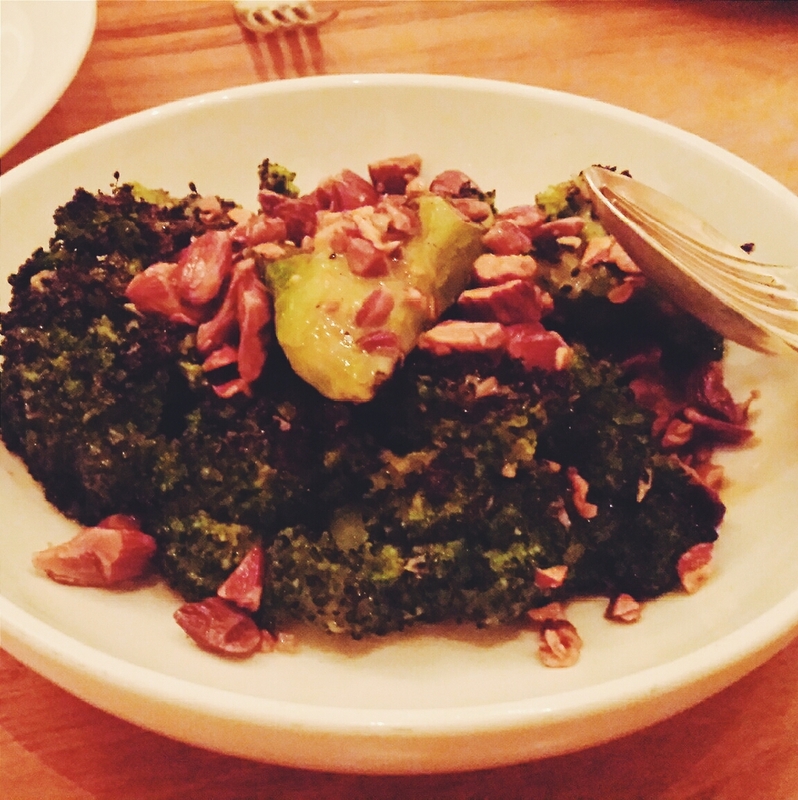 The perfect dish to cleanse your palate and start the meal. Fresh popping flavors and sushi grade diver scallops. The last thing I expected in Louisville was to eat Scallops that were as fresh as the ones I eat in California. The highlight of the dish was the kiwi vinaigrette. Who knew that kiwi and scallops are a match made in heaven. Pan Roasted Mussels: with Flageolet Beans, Leeks, and La Kama Spiced Aioli. I'm a sucker for mussels and theses did not disappoint. Could have spent the rest of the night ducking my bread in the sauce...too bad I had other food to try before the night was over. 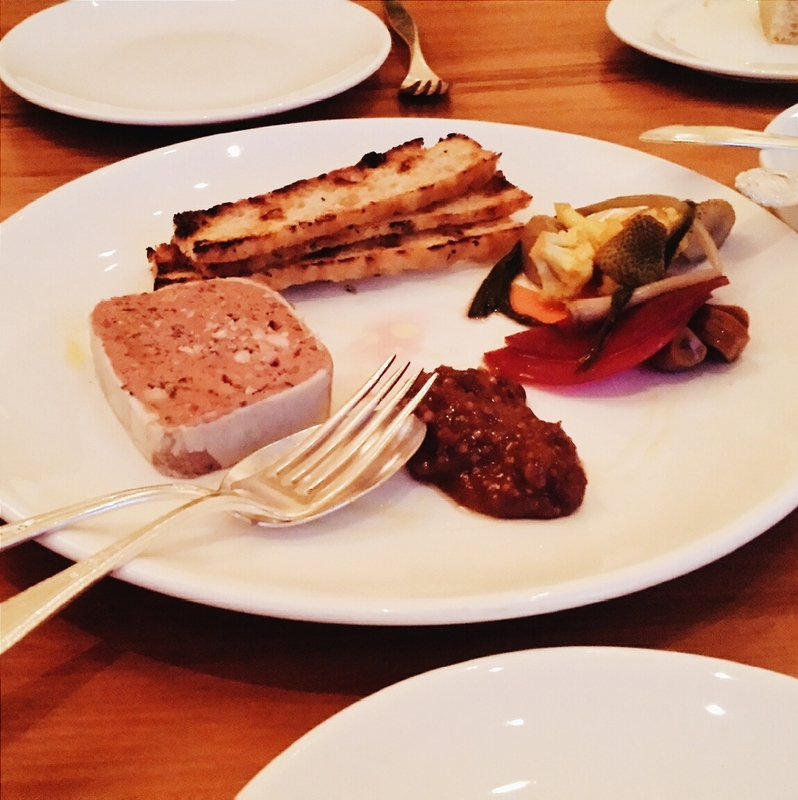 Duck Liver Terrine: with Grilled Bread, Cherry Mostarda, Pickled Vegetables. House made duck terrine...need I say more. After every bite I could have closed my eyes and felt like I was sitting on a corner in Paris..loving life. Wild Shrimp a la Plancha: with Couscous, Shaved Fennel, Chorizo, Labna. Not to beat a dead horse but again..more fresh seafood. The chorizo and fennel were a great combination to bring out the flavors of the shrimp. A little on the lighter side so if you're getting a little full this is the perfect main course. Wood Grilled New York Steak: with Carrots, Charred Bread, Currants, and Harissa Oil. I love a good NYC strip. Cooked to medium rare perfection and just a complete dish. From the fresh carrots to the jammy currants every bite had me excited about the next one. Would eat this every day if I could. Ice Cream Sandwich: with Honey Gelato, Oatmeal Cookie, Lavender Caramel, and Pine Nuts. An elegant and simple dessert. I think they should package and sell the lavender caramel...they could make a killing. The perfect way to put induce the food coma that was coming. If you're in Louisville and looking for an amazing and unpretentious meal this is the place. The food, service, cocktails, and decor are all of the quality of some of the best restaurants in NYC. I see this place sticking around for the long haul.